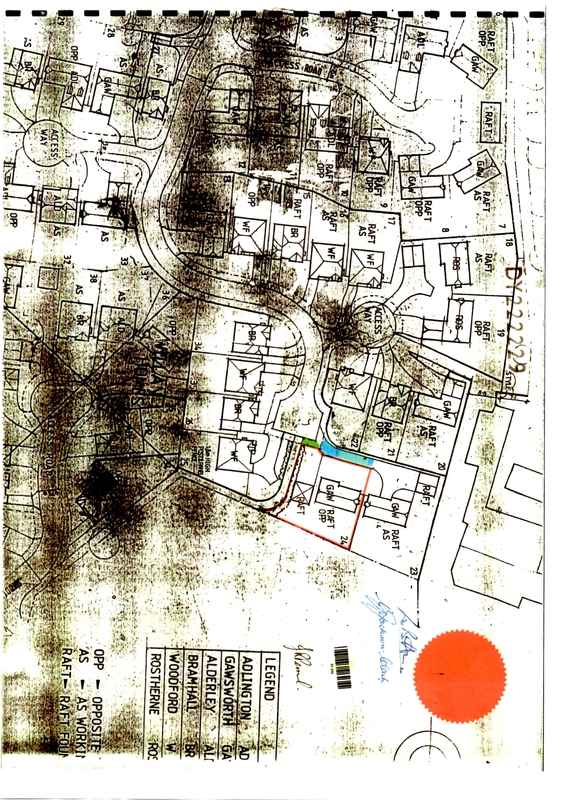 Boundary 1 – Original map from solicitors showing property boundary. 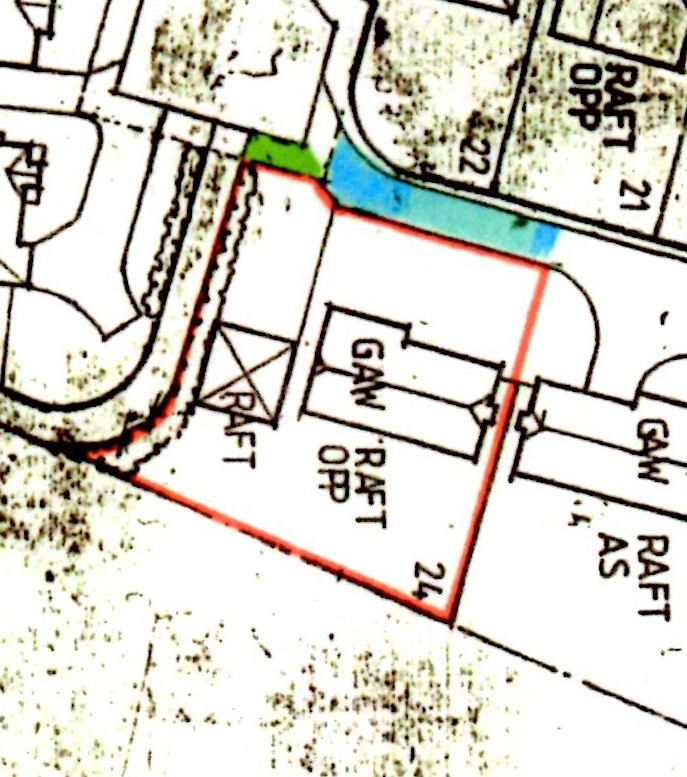 Boundary 2 – Zoom in on our property and boundary with public footpath alongside. 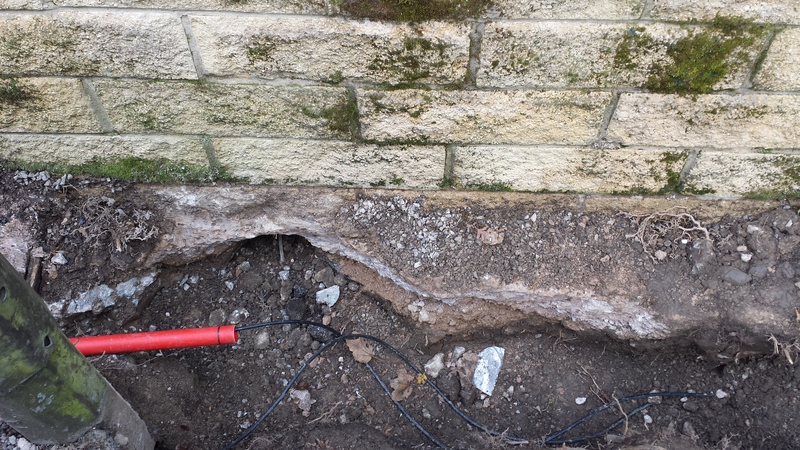 Excavation 1 – showing where the electricity board have excavated on our property, without permission. 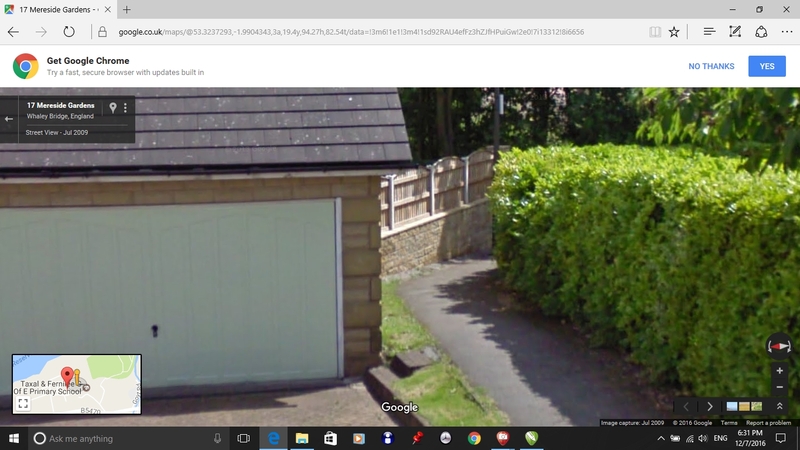 Boarder 3 (from google maps)- showing our house in relation to public path and clearly showing our boundary. 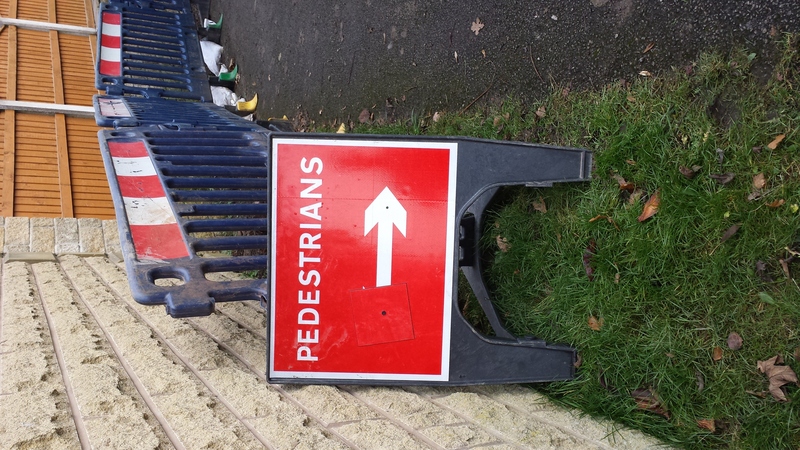 Arrow marks location of excavation. 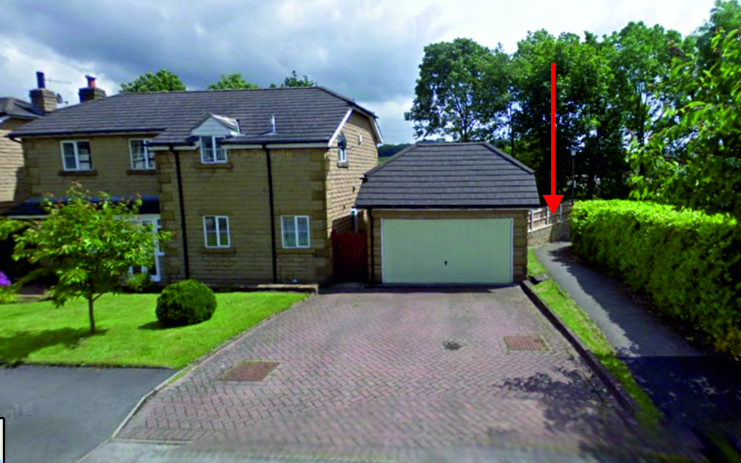 Boarder 4 (from google maps)– zoom in on path showing original condition with grass area, gravel and curb marking the limit of our property. 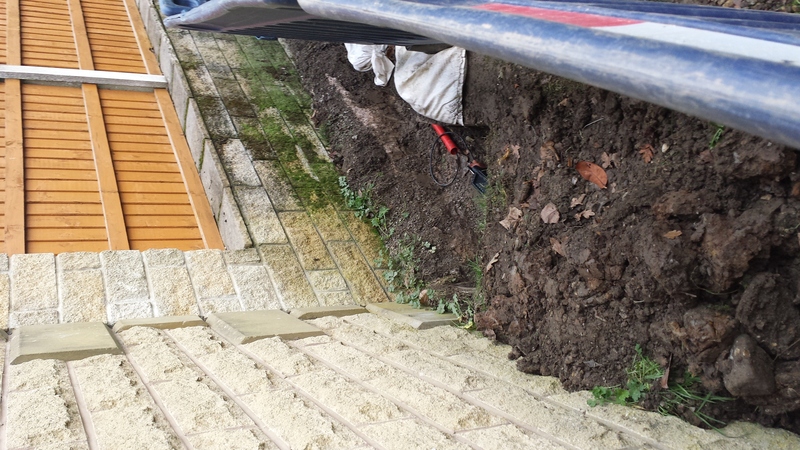 foundations_damage – significant damage to foundations of wall, undercutting our stone wall. 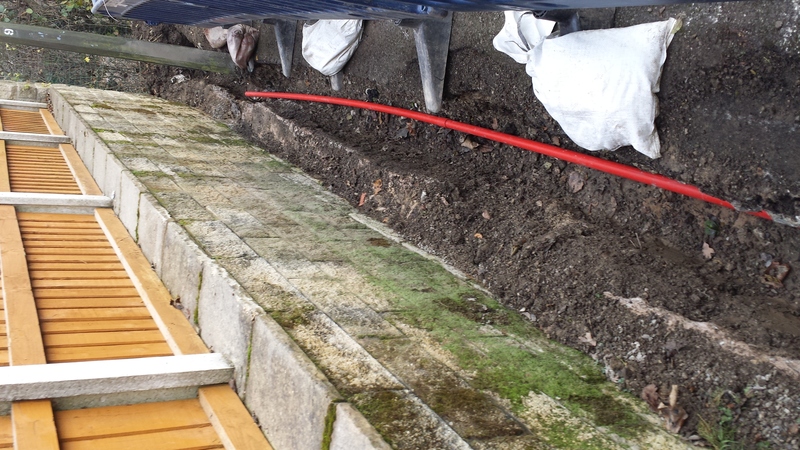 excavations_garage1 – Clearly showing our property, it’s boundary and excavations. 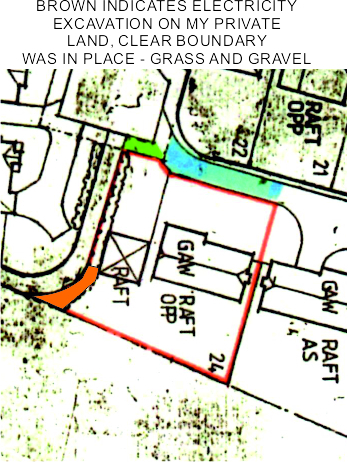 alongside_ourgarage1 – Shows extent of excavations on our property.